Withings has released Steel HR Sport, its latest smartwatch. 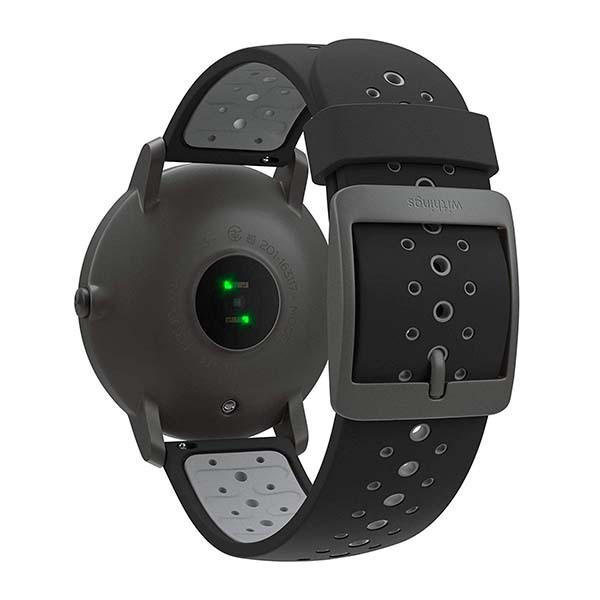 With integrated heart rate monitor, the wearable provides more detailed activity tracking. Need more features? Let’s keep checking. The Steel HR Sport is a beautifully designed and advanced smartwatch that is available in classic color options: black and white. As we can see from the images, the wearable has a similar appearance design with previous Withings Steel HR, but the bead blast finish delivers a more low-profile and minimal aesthetic style, while the breathable watchband ensures it’s ideal to fit for various indoor and outdoor workouts. Of course, the watchband is interchangeable so that you can change it based on different occasions. The minimal rounded dial with two hands clearly shows you accurate time in a classic and stylish way. Furthermore, other two sub-dials let you check your daily activity status and real-time heart rate at a glance. 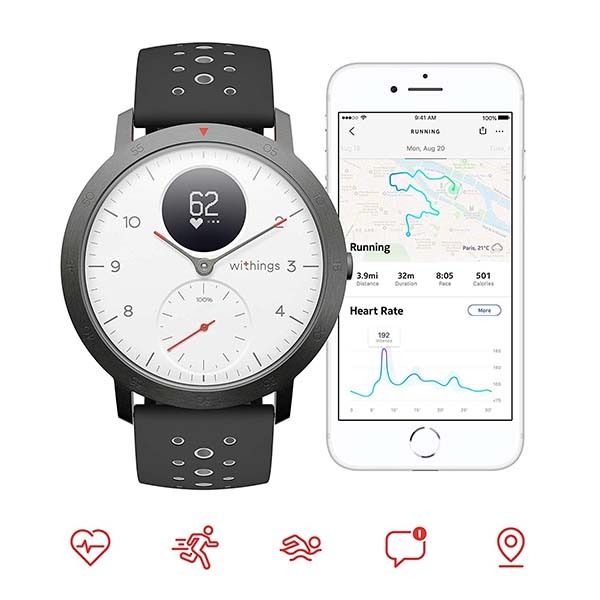 Using the built-in heart rate monitor, the smartwatch maximizes your workouts with continuous heart rate tracking and provides in-depth reporting with daily and overnight heart rate data. Using workout mode and connected GPS via your smartphone, the Steel HR Sport accesses your cardiovascular capacity when running based on VO2 max estimation. 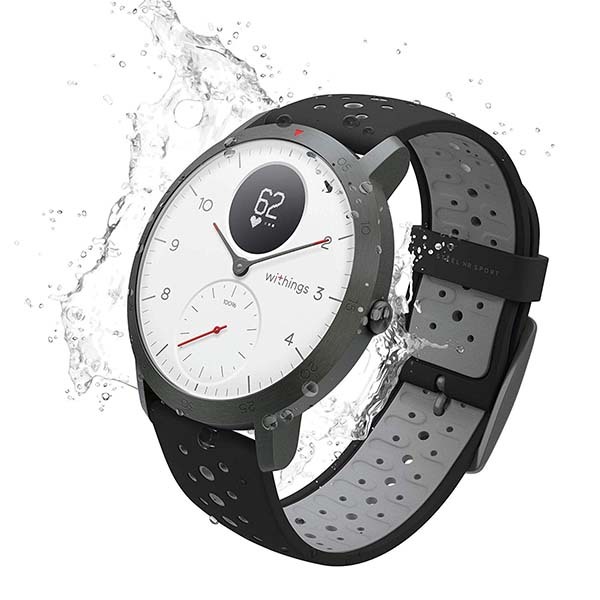 Moreover, the Steel HR Sport is water resistant to 50 meters, which means you can run in the rain, swim, or have a shower without worrying about it being damaged by water. Advanced sleep tracking provides you an accurate sleep score based on light & deep sleep cycles, interruptions, depth and regularity. In addition, its rechargeable battery offers 25 days of battery life on a single full charge. Withings Steel HR Sport smartwatch is priced at $199.95 USD. If you’re interested, jump to the product page for its more details.